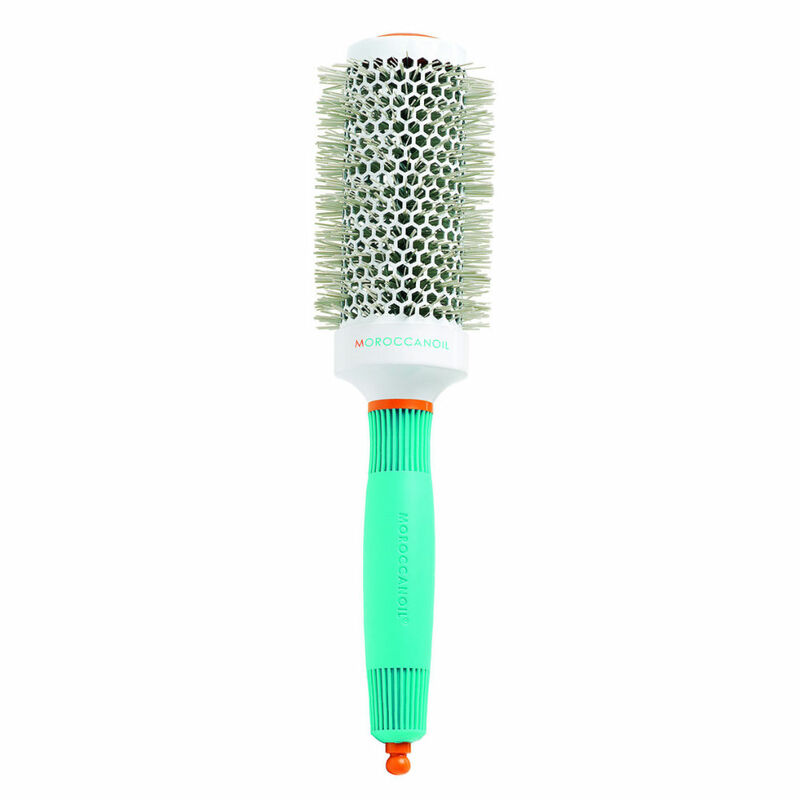 The Morocconoil Round Brush 45mm. It can be used on medium hair to create loose waves and volume. The ions in the bristles repel water which reduces drying time. At the same time, the Morocconoil brush conditions the hair to make it shiny.